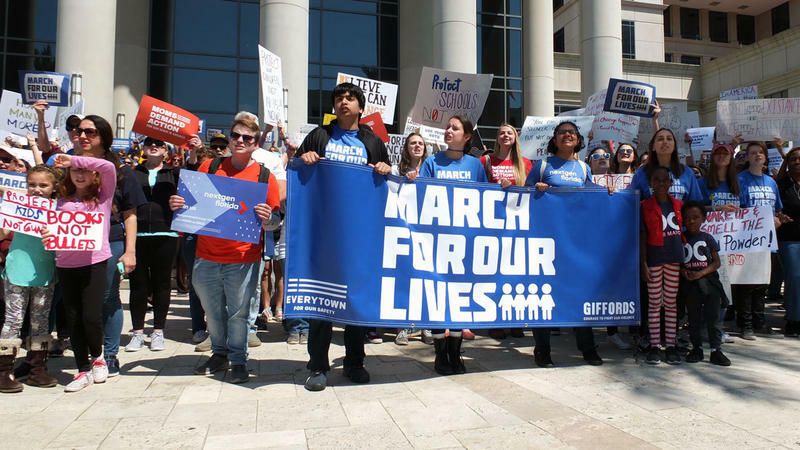 March For Our Lives Protestors gathered on March 24. On Saturday, April 7, at 10 a.m. the March For Our Lives Jacksonville Chapter will be hosting a Town Hall For Our Lives event. The town hall meeting will be located at the Hyatt Regency Jacksonville Riverfront downtown and is free and open to the public. Florida State College at Jacksonville student Kaelan Kindy is an organizer for the event. She said the marchers are going into the meeting with a list of goals. “On Saturday we hope to continue the conversation and carry over the momentum from the marches and have an open discussion about policies and other changes that must be made to the way we treat guns and gun crimes in our country,” Kindy stated. Kindy said the purpose of the Town Hall meeting is to get a community discussion started on gun reform and to work toward stricter gun laws. She said discussing who will be up for election in the November midterm elections will be a topic of conversation as well. The planning for the National Town Hall Project started when Parkland shooting survivor David Hogg’s tweeted on March 25, calling for allies of the march to organize town halls. Working with the Town Hall Project, Hogg posted the date, times, and advice on how to host town halls. “Town Hall Project is a grassroots effort that empowers constituents to have face-to-face conversations with lawmakers. Supporting #TownHallForOurLives,” the organization wrote. State Senator Audrey Gibson, D-Jacksonville, will be attending the Town Hall, as well as congressional candidates Monica DePaul, Ges Selmont, and Joceline Berrios, according to organizers. “We’re hoping to just have an open dialogue with some of our state representatives and candidates about gun violence and safety,” Kindy said. Republican Representatives John Rutherford of FL-4 and Ron DeSantis of FL-6 have declined to attend the event, according to organizers. WJCT News reached out to the offices of representatives DeSantis and Rutherford for confirmation and comment but they had not responded by the deadline for this story's publication. This story will be updated when responses are received.